This is a plastic canvas pattern from Leisure Arts. It is called More Holiday Unique Shapes. 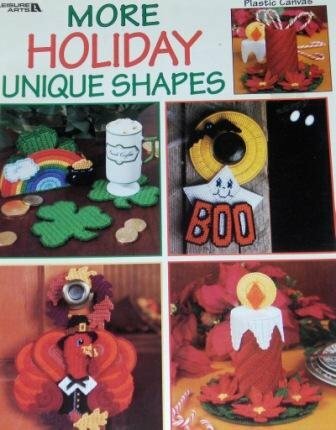 It has patterns to make decorations and gifts for different holidays including Christmas, Thanksgiving, Easter, Halloween, St. Patricks, Fourth of July, Valentines and Mother's day.